← Happy Birthday to Mr. Green! 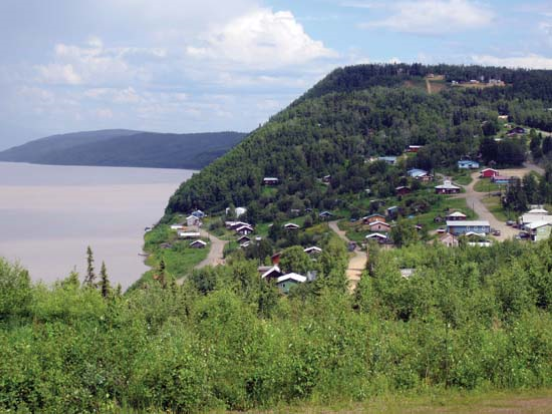 Albert Petka and John Mire were a couple of fellows who lived and worked along the mighty Yukon River. There’s nothing too terribly special about that since thousands of people have lived and worked along the Yukon River at one time or another. In fact, if you ask most people, they will reply that they have never heard of these men. But these two guys have something in common that grabs your attention once you find out about their common bond. Both of these fellows died from injuries after tangling with the Bushman. Bushman is a name used by many in the Land of the Midnight Sun along with Stickman and Hairy Man. All three are names for the Boreal Sasquatch. As in other locations in Alaska, the Boreal Sasquatch is often considered a trouble maker and dangerous. A Bad Boy not to be messed with. Let’s talk about Albert Petka first. Several reports say that Petka lived on a boat near Nulato, Alaska (approximately located at N64°43’09.99” by W158°55’06.18). 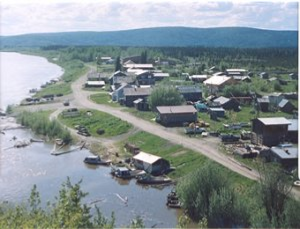 Nulato is best described as a fishing village on the Yukon River that has been inhabited for centuries by local Athabascans, Russian fur traders, gold miners and people involved in river transportation. Credit: Yukon-Koyukuk School District, 2016. Online: http://www.yksd.com/domain/31 (Accessed: 19FEB2016). Sometime during 1920, Petka was attacked by a Bushman. The facts surrounding the assault are not known. It could have been an unprovoked attack that took place onboard Petka’s boat or happened while he was ashore. Maybe it was a situation that escalated as a result of Petka ignoring warnings. Other possibilities include Petka being determined to stand his ground during an encounter or even Petka provoking the Bushman in one way or another. What is known is that Petka had dogs. Petka’s dogs were able to drive the Bushman away. Petka was able to tell others of what had happened, but he was pretty banged up in the assault and eventually died of his injuries. Yuki Island at N64°43’19.20” by W156°03’39.55”, about 18 miles downriver from Ruby, AK). Like Petka’s encounter, the details of what actually transpired are unknown. Collaborating reports do say Mire was able to get back to his boat after the assault, therefore we can reasonably say Mire’s assault happened while he was ashore. Reports also say that Mire was able to pilot the boat to the nearest settlement for assistance and relayed to his caretakers that his dogs had driven the Bushman away. Then like Petka, Mire died of the injuries he received. Given the time span and distances involved between the two encounters, it’s unlikely the Bushman who assaulted Petka is the same Bushman that assaulted Mire. Further reports of encounters along the river between Ruby and Nulato suggest that there are a number of Bushman (Bushmen?) in the area. It’s interesting to note that neither encounter provides much of a description. Simply saying a “Bushman” was responsible for the attacks is not necessarily a weak argument for their existence. To me, as an investigator, it indicates that when these two encounters were initially reported, everyone was familiar with what a Bushman was. It was common knowledge. Just like there is no need to describe a caribou because everyone in the area knows what a caribou is. Therefore, I am identifying the Bushman as a Boreal Sasquatch / Marked Hominid in these two cases based upon the location alone. Incidentally, Petka’s assault took place 96 years ago (1920) making it one of the older encounters in the Sasquatch Tracker database. Mire’s assault took place in 1943, making it one of five encounters in the database that occurred during World War II. The passage of time has not changed things along this stretch of the Yukon River. 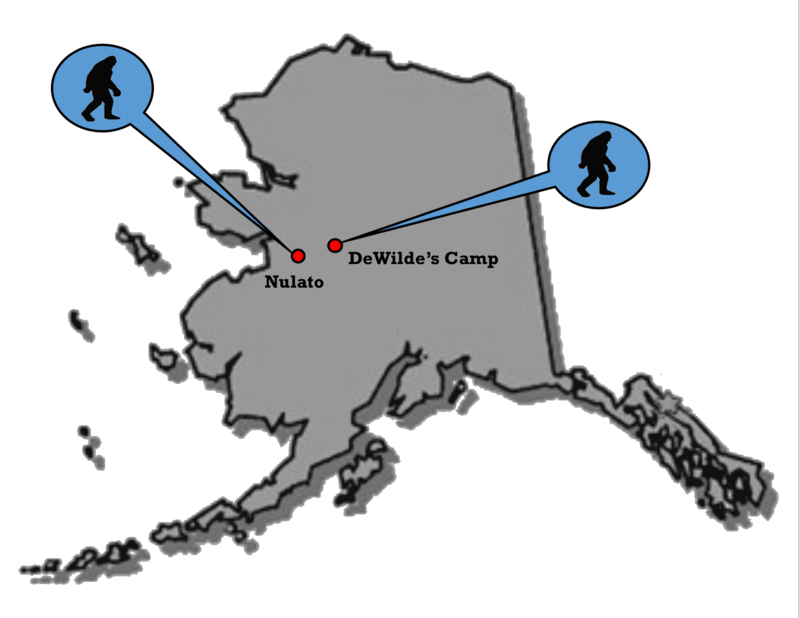 Sightings and reports of tracks continue to slowly make their way to Sasquatch Tracker. This entry was posted in 2016, Historical and tagged Boreal Sasquatch, Historical. Bookmark the permalink.